A sweetness overload yummilious piece that is made specially for owl lovers. 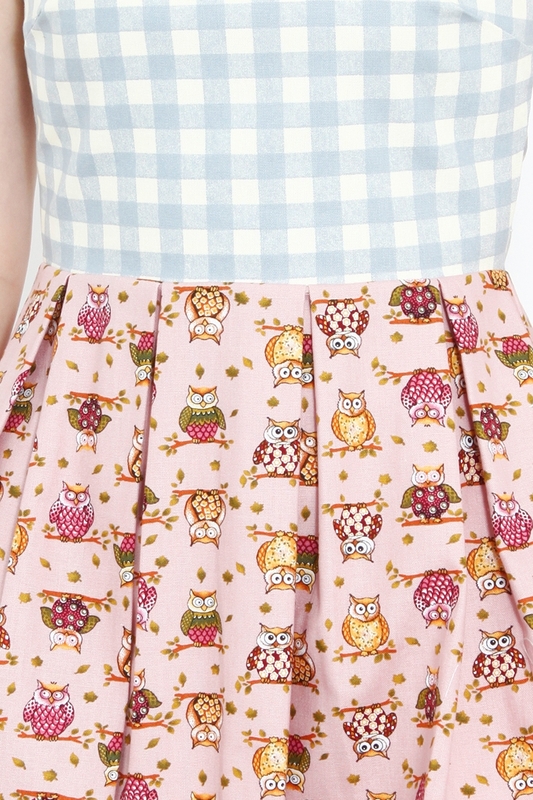 We’ve paired the delightful owl prints with pretty vintage soft blue checks in our staple fit and flare style. Made of lux structured material that holds its shape. Fully lined, includes concealed zip and pockets.